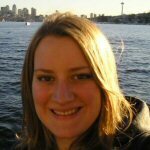 Meg Anderson is a teacher from Bellevue, Washington. She has a Master in Teaching with an emphasis on Spanish from the University of Washington in Seattle. Her undergraduate degree is in Spanish and Portuguese Studies, also from UW.